If you’re planning to take your family on holiday, you don’t have to take your own vehicle, there is something else you can do. Get a car hire…and, not only a rental car, but one large enough to bus around up to seven people at once. Yes, gone are the days of packing everyone into a small budget car for a long holiday trip across the country. 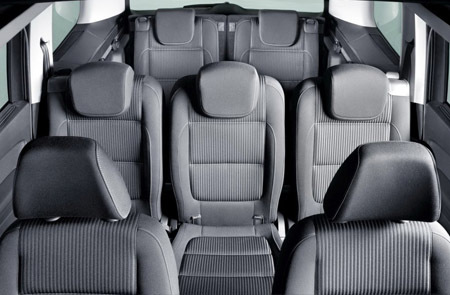 The Ford Galaxy MPV is one of many 7 Seater vehicle options. Let’s learn why you may want to rent the Ford MPV for your next excursion away. Excellent, smooth performance on the road, whether Entry level 1.6-litre Ecoboost petrol engine or h2er turbocharged 2.0 litre engine. Ride is smooth, thanks to the vehicle’s ‘smart steering,’ in addition to enough grip and body control to make drives a pleasure. Safety and stability features are top: Galaxy model is equipped with airbags for every seat, in addition to features that keep families safe and comfortable on the road. Let’s start with the space and practicality of this vehicle. The Ford Galaxy MPV is highly rated for its impressive legroom and headroom, which allows five people to sit comfortably in the vehicle. The seating arrangement is also large enough to accommodate child seats in the middle row and still allow adults and older children to settle in the rear rows. And, if you’re using all seven seats, there’s still enough room for bags. Those who might be concerned about the Ford Galaxy MPV’s performance shouldn’t feel as if their concerns are unfounded. However, if you’re concerned about driving around a full load of passengers, you may fare better with a vehicle boasting a stronger engine. If you’re concerned about the safety and security of this vehicle, there’s no need to worry. This vehicle is well equipped with airbags, notably on the front and the sides (front seats), window airbags for all three rows of seats and even an airbag to protect the driver’s knees. It’s not that difficult to find a good rental car for a family holiday but, finding a good seven seater might present an issue or two. 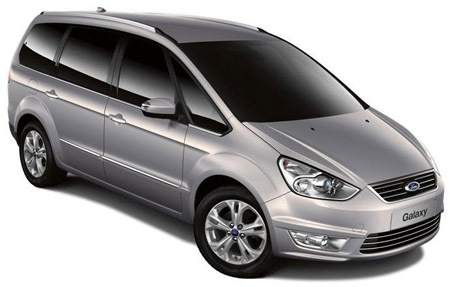 If you’re searching for a good family car hire, why not try the Ford Galaxy MPV? It might not be the most inexpensive model, but may be well worth the cost when planning a vacation.